Something truly evil is stirring. Greek oracle and voodoo queen, FBI agent and young punk, Pretender’s champion and heretic nun, wizened shaman and transsexual mage—many lives, many worlds, many goals… but one common enemy. Amidst the collision of ideals in the afterlife, a maelstrom forms. Who is the god Smoking Mirror? What spiritual debt must the conquerors of America pay for their heedlessness? How many mortal lives will be lost along the Mississippi before the balance of death is restored? The shadowy, suspenseful trilogy Dark Kingdoms is published here for the first time in one complete volume. 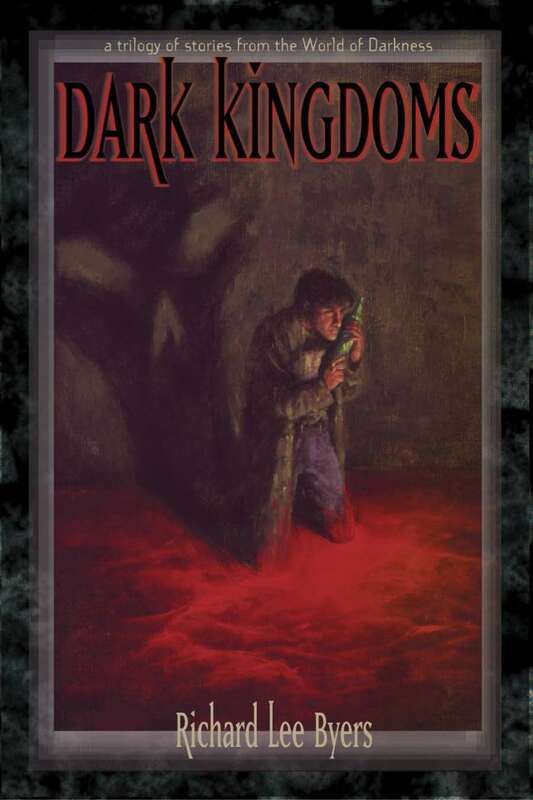 Dark Kingdoms is based on Wraith: The Oblivion, a World of Darkness roleplaying game from White Wolf Studios. Note: This digital edition includes the PDF, EPUB and MOBI (Kindle) versions of the novel. great books, having the complete set is well worth the price. enjoyed the book and have read it a few times. This title was added to our catalog on February 01, 2014.